On November 24th and 25th 2015 in Milan Sotheby’s presents the auction dedicated to Modern and Contemporary Art. Sotheby’s auction returns in Milan with 114 modern and contemporary art artworks by Italian artists from the post-war to the present day. 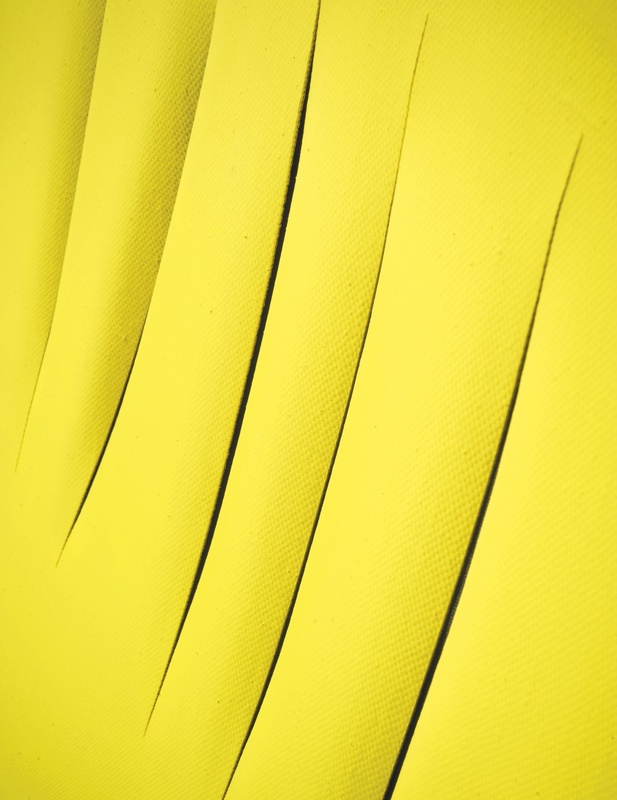 In the year of Alberto Burri’s international celebration, particular attention is given to the artist from Città di Castello, with four major works dating from 1952 to 1980. Signed, titled, inscribed and dated 1959 on the reverse, iron on the wood. It starts from Bianco Plastica 1968 (lot 18, estimate 400,000 to 600,000 EUR), mature example of Le Plastiche, one of the most famous and important Burri’s series. The work is characterized by layers of molten plastic and it marks the climax of the transfiguration of two-dimensional art by the artist. 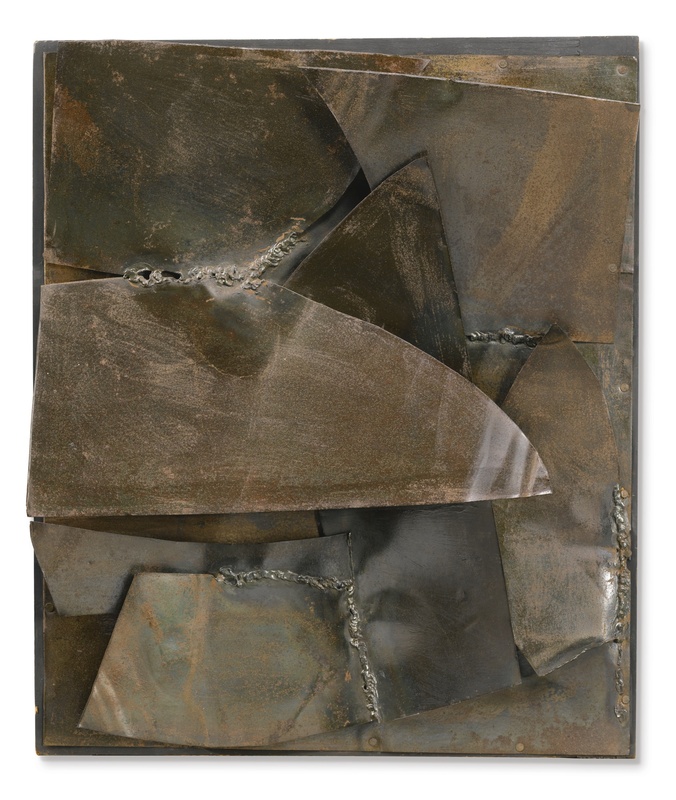 It continues with the Ferro of 1959 (lot 26, estimate 500,000-700,000 EUR), from Enrico Crispolti’s collection, a work from the production of the second half of the 50’s, when Alberto Burri worked on three materials: sacks, woods, the knife. With the discovery of fire, the knife became one of the Burri’s privileged element for experimentation and artistic research. Finally Sotheby’s has two other works by the artist: Bianco 1952 (lot 34, estimate 300,000-400,000 EUR) and Cellofex of 1980 (lot 37, estimate 150,000-200,000 EUR), exposed in his major retrospective in Milan in 1984 at Palazzo Citterio. 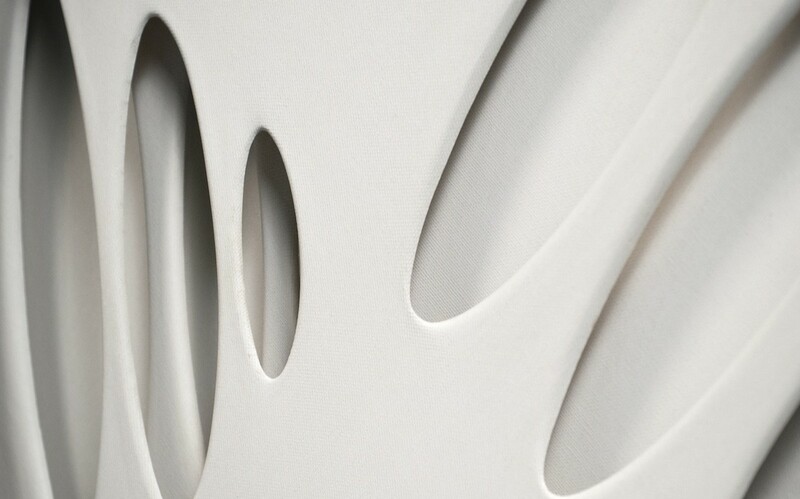 At Sotheby’s auction three works and some ceramics by Lucio Fontana are for sale and they perfectly represent the various space research conducted by the artist: Tagli, Buchi and Teatrini. It continues with the Group ZERO: Castellani, Bonalumi and Scheggi. Signed, titled and inscribed “Sono stato a Milano, a vedere Sergio Tosi” on the reverse, waterpaint on canvas. Executed in 1968. The last one, after the recent record set in May, is present with a series of works including Intersuperficie Curva of 1964 (lot 9, estimate: 300,000-400,000 EUR), belonging to the most famous series of the artist, which are applied on neutral background two perforated paintings overlapped that create a unique play of solid and void, light and shadow. Sotheby’s has also artists of Group T’s artists, as Grazie Varisco and Davide Boriani, and the Group ENNE with Alberto Blasi. Finally, masterworks by Morandi, de Chirico, Melotti, Schifano, Boetti are included in this sale and also a selection of Arte Povera’s works including Tricolore by Salvo (lot 1, estimated 40,000-60,000 EUR), a tribute to the artist who died in September.